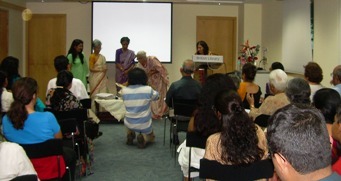 "Bhelpuri" the first book of Inklinks, a group of nine women writers from Bangalore, is all set to be launched on Saturday, 24th October 2009 at the British Library, Bangalore. These writers have their common zeal of observing life and creating new stories, in their own different styles. As the name suggests, the stories are a mixture of sweet, sour, crisp, crunchy, spicy and juicy. Don't forget to buy this book and read. "Bhelpuri", the short story book of Inklink group, was launched by Sahitya Academy Winner Malathi Rao, on 24th October at the British Library, Bangalore. 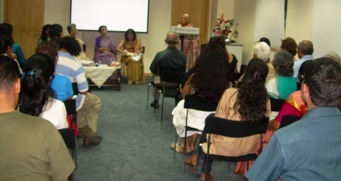 The renowned writer Sashi Deshpande was the Guest of Honour. Many other literary personalities also graced the occasion. 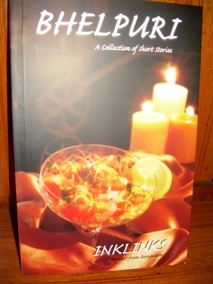 It is a book of 27 short stories written in 9 different styles. (3 stories by each writer). Short and crisp stories for a quick read. Please contact us here for your copy.